Shredding season is around the corner, and that means spending hours in the gym, doing more cardio than you ever cared to, and passing on the pizza in favor of vegetables – or does it? Recent developments in the natural metabolics category are favoring a new trend that you don’t have to punish yourself to get results, just plan smarter. 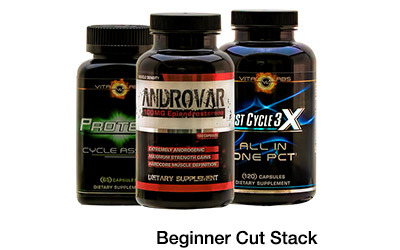 Typically bodybuilders pay attention to three major hormones when it comes to bulking or shredding, but thus far the industry has only provided support for testosterone and insulin. For years the market has been lacking the answer to the missing component of the hormone trifecta: the thyroid. 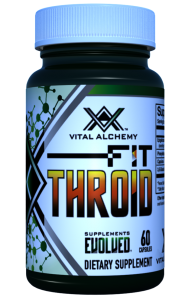 Vital Alchemy launched Fit Throid earlier this year, aiming to provide what they call the “missing link to fat loss” by mimicking thyroid hormone. 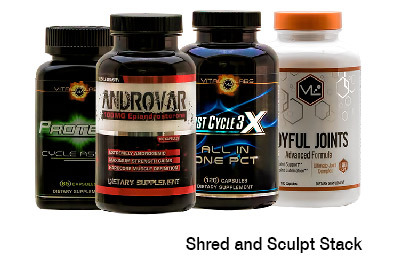 Bodybuilders have long known that the thyroid is crucial to getting shredded, as it regulates your metabolic rate and can increase thermogenesis. Fit Throid’s innovative ingredient panel features 3,5 T2 which acts similarly to thyroid hormone T3, but instead of eating away at muscle with an increased metabolism, it only burns fat by increasing your metabolic rate (1). In fact, it can even play a role in both regulating and enhancing insulin secretion in response to glucose, helping to metabolize it more effectively (2). Over the past couple decades, mainstream fitness perpetuated the idea that you have to go all out beast mode and eat nothing but chicken, rice, and broccoli to achieve your ideal physique. And while pushing yourself in the gym and watching your diet remain the main components of any halfway decent fat loss program, if you aren’t seeing the progress you expect, Fit Throid might be another added component to get extreme results without the extra sweat and deprivation. The appeal of Fit Throid, then, is two-fold: get shredded while helping to raise fat burning capacity at rest, and potentially stay leaner while bulking. Fit Throid also has ECGC, a green tea extract known for its role in aiding fat oxidation up to 33%. So is Fit Throid really the missing link for fat loss? Decide for yourself by grabbing a bottle, on sale now exclusively at Strong Supplement Shop. You can also learn more about the science behind Fit Throid by heading here. How would this work for someone who is on a thyroid supplement hormone due to not having a thyroid? Hi Tanya- Thank you for your question. Fit Throid is not going to help you if you don’t have a thyroid. 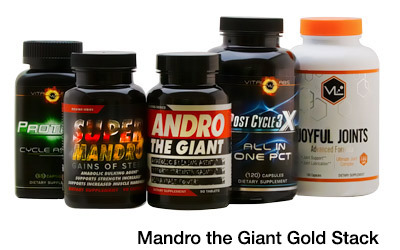 Fit Throid can help stimulate a thyroid to produce more of the hormone naturally on its own. But if your Doctor has you on a therapy for your thyroid or you have health issues with your thyroid, it is not a good idea to take a supplement like Fit Throid. Thank you for your question. To answer as to whether or not Fit Throid will help your situation the answer is, it may, however the thyroid is a complex organ and thyroid conditions can be widely different. If your physician or healthcare provider has or had you on a therapy I would not try Fit Throid with out discussing it with them first. Here is a link to a study on 3,5-Diiodo-L-thyronine, the ingredient in Fit Throid, hopefully it will give you a better understanding on how the ingredient is intended to work.